Where there's smoke, there usually is a fine. But not this time. 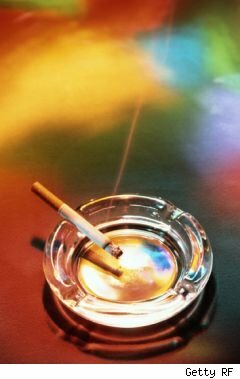 In a case that could have had implications for real estate agents and sellers in Massachusetts and potentially nationally, a jury recently rejected a condominium owner's lawsuit in which she asserted that her downstairs neighbor's tobacco fumes were a health hazard and that her agent, whom she claimed knew about it, failed to disclose the neighbor's smoking habit to her. Talk about blowin' smoke. Alyssa Burrage, the plaintiff, claimed in her lawsuit that the smoke emanating from beneath the condo she purchased in 2006 for more than $400,000 exacerbated her asthma. The defendants included the owner of the offending condo unit and his roommate, the condominium trustees, her real estate agent and his brokerage firm. All of the defendants except the realty agent and his company settled the case out of court. Burrage's Gibson Sotheby's agent, Joseph DeAngelo, refuted Burrage's claims that she and her parents repeatedly had asked DeAngelo about the smell of smoke and that he said it would disappear over time. The jury reached its verdict in favor of DeAngelo and the realty agency in less than an hour. "Whenever someone's doing well, making money, their home values are going up, you don't see people suing each other as much," said Coldwell Banker agent Connie De Groot. "When people aren't happy and their homes have lost value, they look for ways to make money." She added that she's "happy that verdict turned out as it did. There already is so much litigation and so many disclosures, it's ridiculous." Typical disclosures in realty transactions include seller notification of flood and fire danger; nearby dams, schools and any hazardous-waste sites; and proximity to natural disasters. Then there are some of those odd disclosures, which fall under the "better be safe than sorry" category: noisy neighbors, weird smells, a murder that took place in the home, notification of a recent death in the home, the presence of pets, local parade routes, traffic issues, and "even former smokers," De Groot says. "Be honest and up front." In the Boston case, the plaintiffs team attempted to position the presence of a smoker in proximity to a buyer as something requiring automatic disclosure, said Jay S. Gregory, Gibson Sotheby's attorney. Had the case swung in favor of the plaintiff, he said, agents and sellers would have been burdened with another level of disclosure. De Groot says that to avoid these types of lawsuits, it's best to "disclose, disclose, disclose. Put everything in writing. Once you sell, you want to be done."